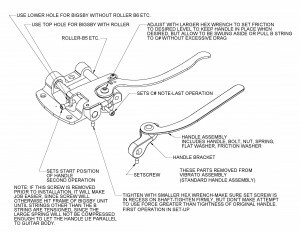 The installation of the B-Blender is simple: You simply remove the original handle and handle bracket of the Bigsby, and replace them with the B-Blender unit, which involves only the removal of one setscrew on the bottom of the handle bracket, and the tightening of a similar setscrew in the handle bracket of the B-Blender. 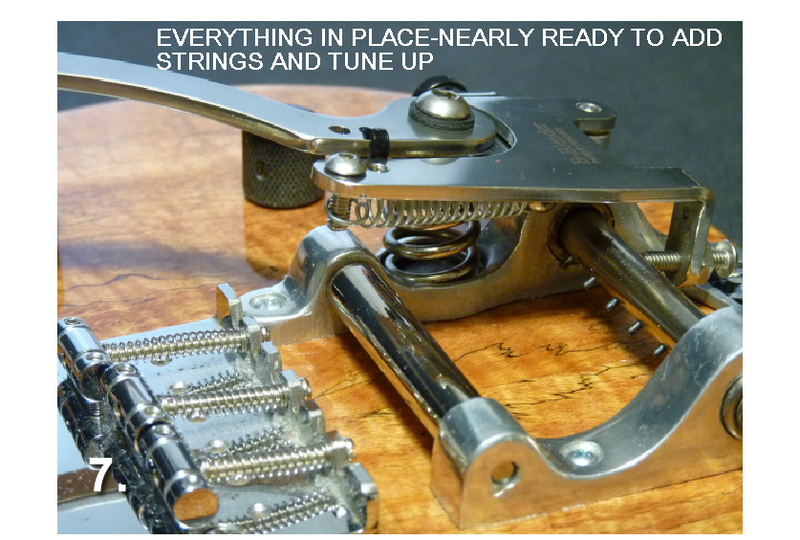 The only complication is the fact that this setscrew is on the bottom of the handle bracket, and is nearly invisible when the guitar is strung, and everything is in its normal position. 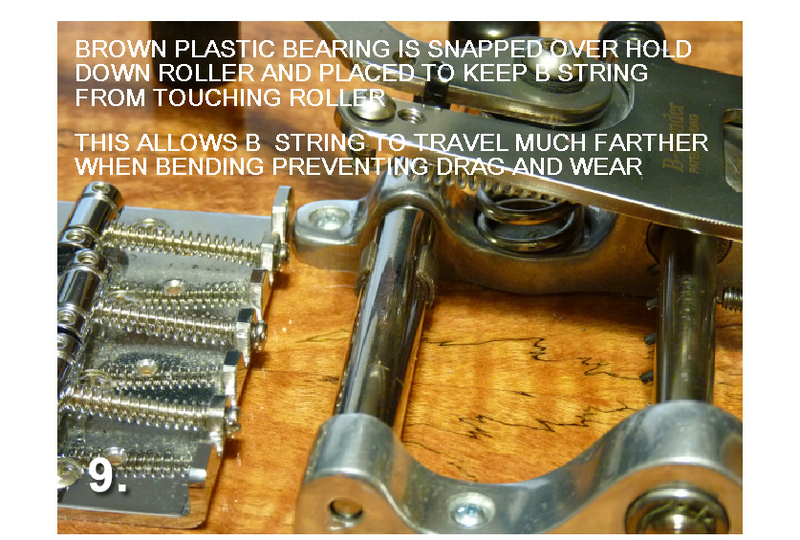 In all cases, the strings must be removed from the guitar. 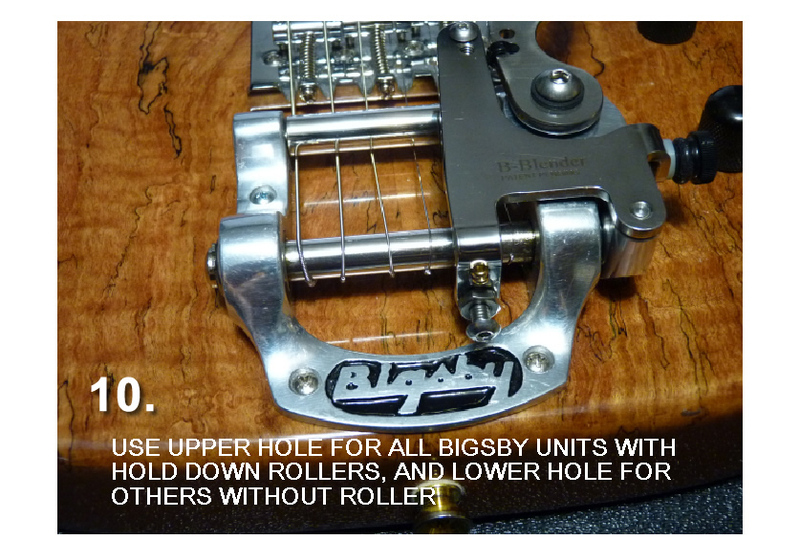 On Bigsby units with a hinge at the extreme end of the guitar, like a B3, B7 and the like, you merely have to lift the Bigsby away from the top of the guitar to get at the setscrew. 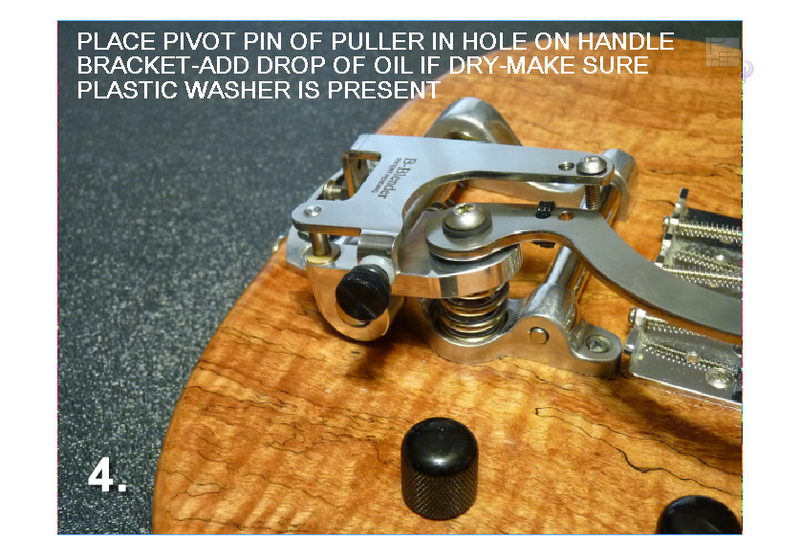 On units such as the B5 or B50, which are screwed to the top of the guitar, the easiest way to access the setscrew is to remove the 4 screws that attach the frame to the guitar, and lift the whole unit. 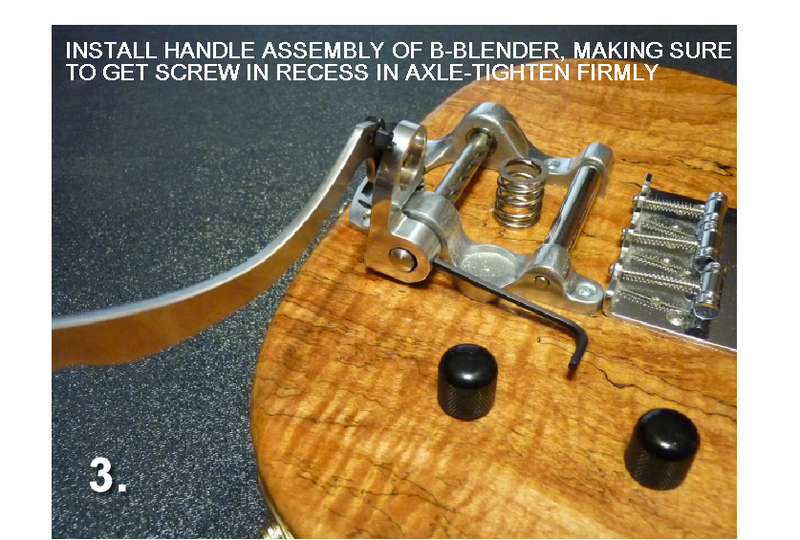 The alternate method, shown in the series of photos below, normally doesn’t have to be used, and it involves several more steps, and disassembly of the B-Blender itself. 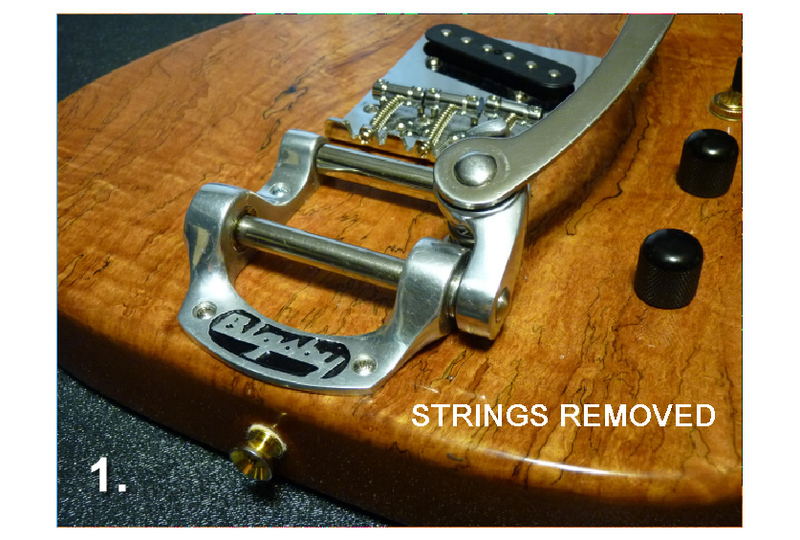 This method would only be used when you might have a guitar which has had a Bigsby screwed to its top for many years, and you are afraid that some of the finish might pull up with the frame of the Bigsby, if it were pulled away from the body after removing the 4 screws. 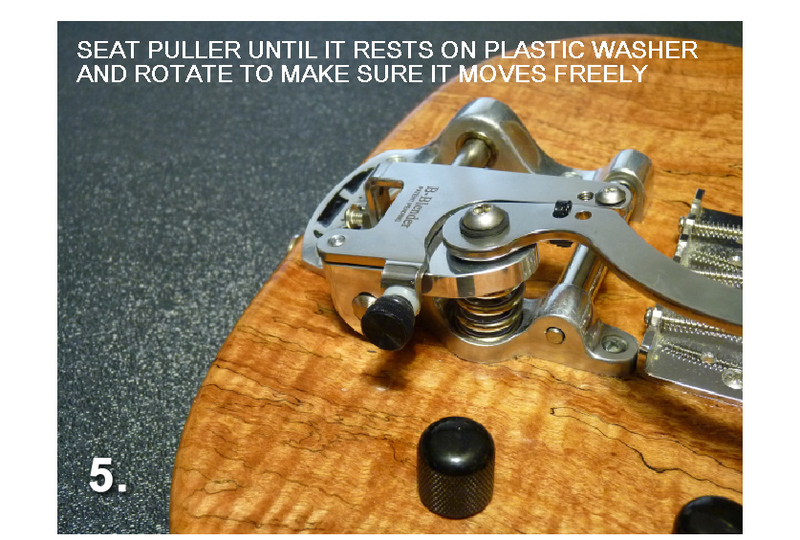 This will likely be a rare situation, but it could arise in a few cases. 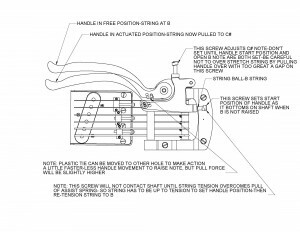 It should be noted, that the setscrew always sits in a conical hole drilled part way through the shaft which carries the handle bracket. 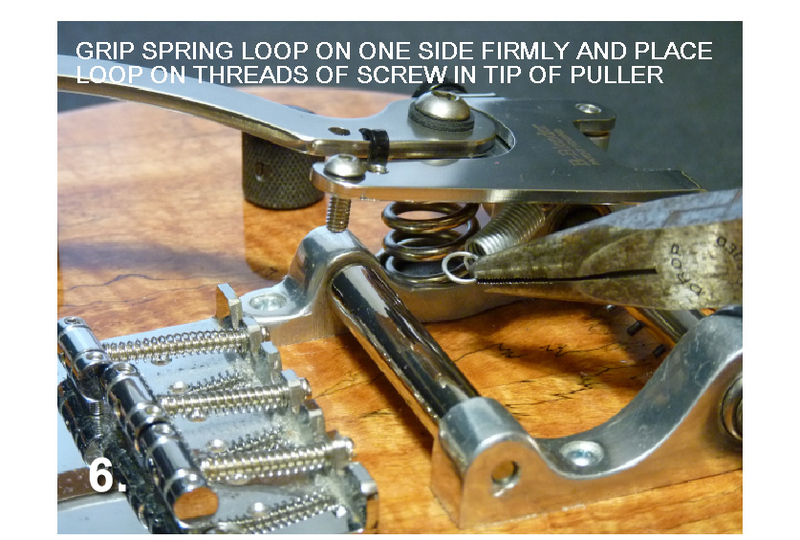 Its best to wiggle the bracket slightly as the setscrew is tightened, to make sure it is in this hole. 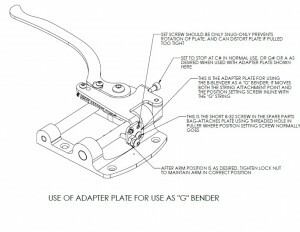 This provides the only secure position of the handle bracket, and is obvious when properly located. 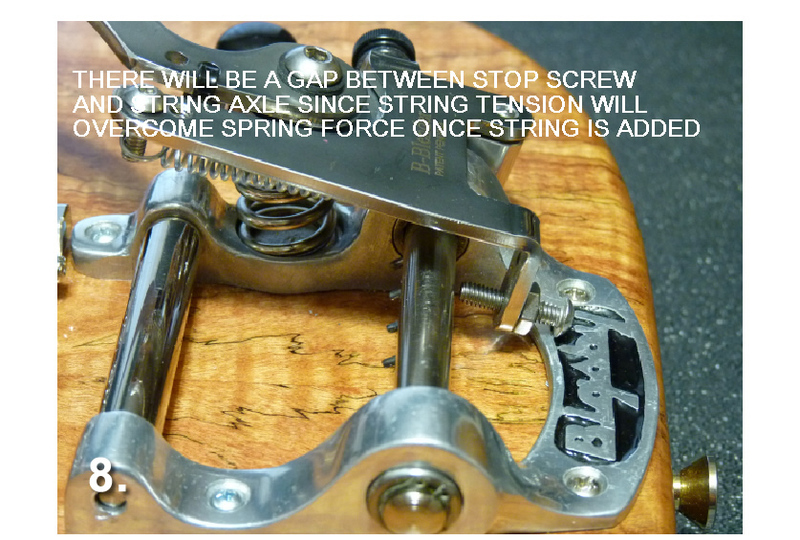 The same spring as originally used with the Bigsby is retained. 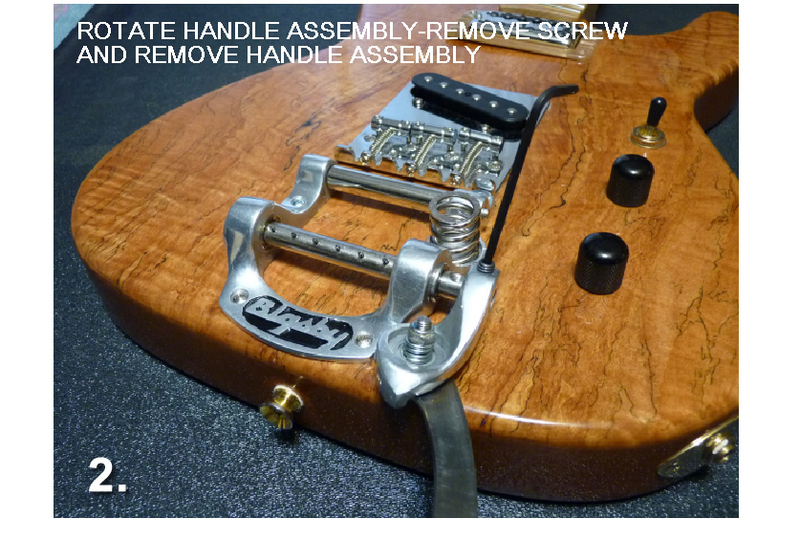 Installation on Tele or other guitar with hold-down roller (B5, B50, etc).